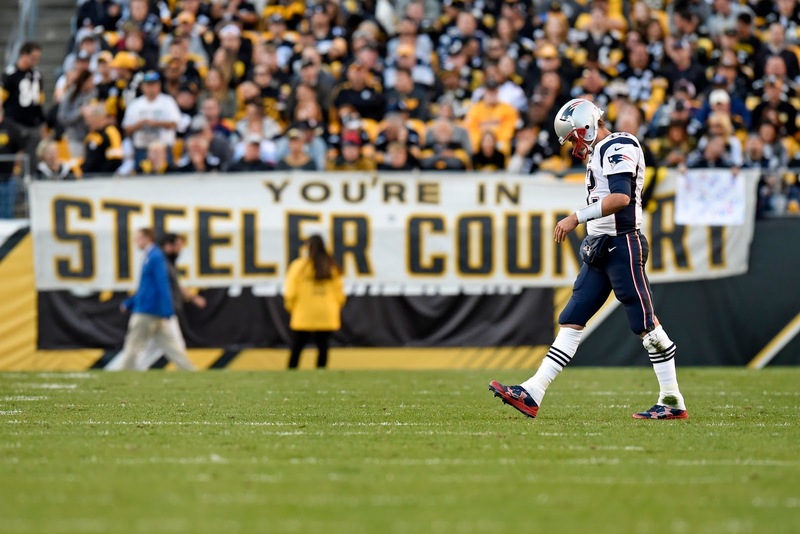 The story of Weeks 5-7 for the Pats has been Tom Brady. 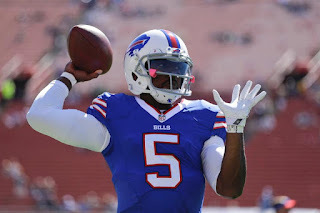 The QB has thrown for 1,008 yards, 8 TDs, and no picks in his return from suspension, and the Bills are his next target. This game, though, is especially important for New England--the Pats' only loss this year came at the hands of the Bills in Week 4, and the team is obviously looking for revenge. Will they rack up the fantasy points, or will the Bills run over them? In Tom we trust! Brady is on a tear and there's no reason to sit him now, especially considering how he's done historically well against the Bills. Keep him firmly planted in your starting lineup. For Tyrod Taylor, this could be an up or down week. Historically, Pats-Bills games in Buffalo have been high-scoring affairs, but the way the Pats defense has been playing, I wouldn't bet on big production. New England is giving up just over 15 points a game, and they're going to be looking for revenge after a loss to the Bills in Week 4. Unless you're thin, keep Taylor as a QB2. Keep the bruising LeGarrette Blount in your lineup this week--as always, he'll get the lion's share of the carries and almost all of the goal-line touches. James White is also worth a flex play this week--he's scored 3 TDs in the Patriots' past two games, and the team loves him as a receiving threat out of the backfield--he gets a special bonus in PPR formats. 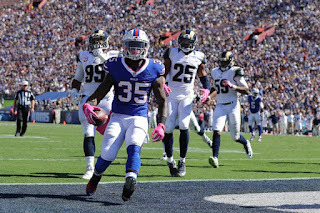 On the Buffalo side, LeSean McCoy is likely out, meaning that Mike Gillislee will shoulder most of the load. He's been effective as a change-of-pace back so far, but he's most likely going to slot in as another flex on Sunday. The Pats wideouts have underwhelmed this year, but Julian Edelman is still startable, especially in PPR. The main culprit for his lack of production is his lack of TDs, but he's been accumulating yards at a healthy rate and should find the end zone soon. 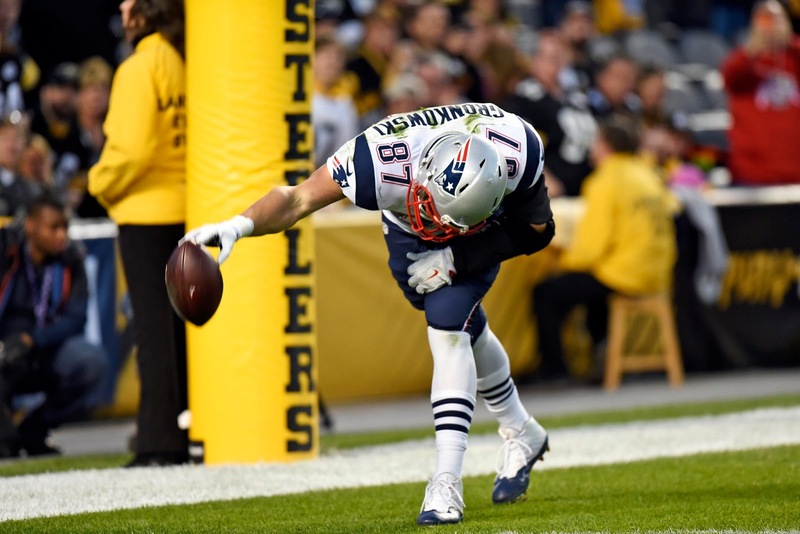 As for Chris Hogan and Danny Amendola, they can slot in as flexes, but nothing more--their value is too dependent on TDs to make them a viable option at the WR spots. Buffalo, once again, is like the walking dead--their top weapon, track star Marquise Goodwin, is out. Don't expect a lot of production from Robert Woods. He's another flex play at best. While Rob Gronkowski continues his rampage, Martellus Bennett is questionable with an ankle injury. 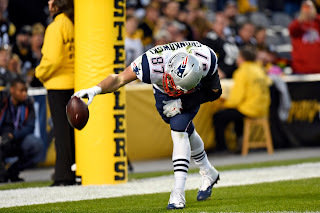 Expect the Gronk to catch his 69th career TD, and for Bennett to chip in if he plays. As always, Gronk is an automatic start, but I would rest Bennett against the Bills. He'll play, but he will most likely be limited with that ankle. 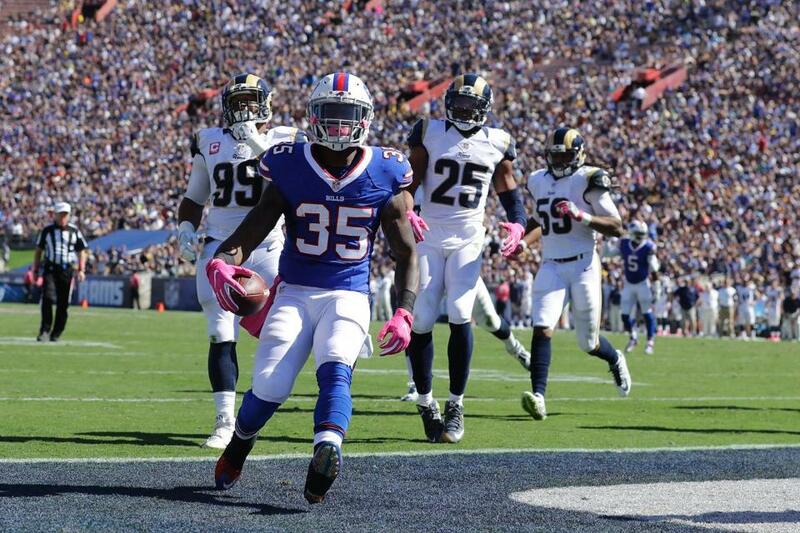 For the Bills, Charles Clay isn't a big factor in the offense, Keep him on your bench as well. Keep the Patriots D in your lineup this week. They only gave up 16 points last time, and they're out for revenge. Expect some turnovers early and often. On the other hand, I think Bill Belichick has figured the Bills out by now. Play their defense if you like, but don't get your hopes up--the Patriots rarely lose to the same opponent twice in a row, and they will come at the Bills with some new and improved offensive concepts. For the kickers, something is up with Stephen Gostowski, but it isn't enough to drop or trade him just yet. Give him a bit of time to figure the issue out, considering he has been among the best in the game for some time now. For the Bills, Dan Carpenter has excelled from 40-49 yards, but he has yet to attempt a field goal from 50+ this year. Put him in your lineup, but beware of a long miss. That just about wraps up this week's fantasy breakdown! Thanks for reading, and best of luck to you on Sunday!